for Availability and Engineering Support. Separately sold humidity probes and modules for original equipment manufacturers (OEM). Humidity instruments for calibration and adjustment. The HM70 is a user-friendly meter for demanding spot-checking humidity measurements. The HM70 is ideal for field checking and calibration of Vaisala's fixed humidity instruments such as the HMP230 Series Transmitters. HMP77 with a small sensor head at the end of a 5-meter cable, ideal for difficult-to-reach areas and for on-site calibration of Vaisala's process transmitters in Environmental Chambers. The HM70 features a multilingual, menu-based user interface, and a clear graphical LCD display. Three measurement parameters can be displayed and logged into the meter's memory at the same time. An analog output option is also available. The DM70 can be used in many industrial spot-checking applications as well as a one-point calibration check for fixed dewpoint transmitters such as the DMT242 and DMP248. Ideal for to sample dry gas flow or compressed air. 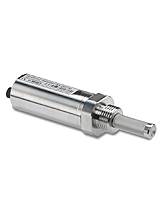 The MM70 is ideal for the preventive maintenance of oil-filled systems. It measures moisture in terms of the water activity and temperature. Water activity directly indicates whether there is a risk of free water formation. 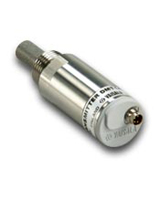 The MM70 features the Vaisala HUMICAP® Sensor with excellent pressure, temperature and chemical tolerance. In-line process checking through ball valve, no need to drain the oil. Measurement is independent of oil type, age and temperature. Compatible with Vaisala's fixed oil moisture instruments. The hand-held HMI41 indicator is versatile and easy to use. With a choice of five different probes it gives you flexibility to work in a variety of applications. The indicator also provides a calibration option: by using a suitable probe and connection cable, most Vaisala's humidity transmitters can be easily calibrated at one point. All five probes incorporate the Vaisala HUMICAP® Sensor, known for its high accuracy, reliability and long-term stability. The HMP228 is a fast, reliable and accurate on-line detection system for water in oil. Moisture measurements from lubrication oil can significantly cut maintenance costs and prolong machine lifetime. The HMP228 measures water activity and temperature from oil. In connection with oil, water activity measurement offers several advantages compared to the traditionally measured variable, parts per million (ppm). Water activity indicates directly whether there is risk for free water formation. The measurement is independent of the type, aging or temperature of the oil. The Vaisala HUMICAP® Dewpoint Transmitter HMP247T was developed to monitor the air intake of gas and liquid-fuelled power turbines. It is ideal for measuring in water vapor injection applications because the sensor has been optimized for high humidity environments by utilizing a patented, warmed sensing probe. Water vapor is added to the intake of the turbine to increase the mass flow, which in turn increases compression and electrical power output. Power turbines also require exact water vapor injection in the chamber to reduce pollutant emissions. 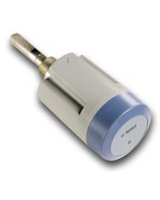 The HUMICAP® sensor technology is ideal because of its reliability in the field. The only suggested scheduled maintenance is annual calibration. The wall-mounted HMW61 and HMW71 transmitters are designed for dusty and humid air conditioning applications where accurate and stable measurement and control of relative humidity and temperature is required. The transmitters are protected against dust and sprayed water, meeting IP65 requirements. All the materials used have been chosen for excellent corrosion resistance. This makes the transmitters especially suitable for humid and wet environments such as greenhouses, livestock farms, indoor swimming pools, or any other wash-down areas. Note that the HMT100 Replaces the HMW61 and HMW71. The duct-mounted HMD60 and HMD70 humidity and temperature transmitters are designed for use inair conditioning applications where accurate and stable measurement of humidity and temperature is required. The transmitters are easy to calibrate on-site without disturbing the measurement. The transmitters incorporate the Vaisala HUMICAP® Sensor, which is known for its accuracy and long-term stability, negligible hysteresis and resistance to dust and most chemicals. The HMD60/70 transmitters are available in two models: for humidity measurement only and for both humidity and temperature measurement. Both true two-wire and three-wire models are available. The wall-mounted HMW60 and HMW70 transmitters are designed for use in air conditioning applications where accurate and stable measurement of humidity and temperature is required. They are the ideal choice for demanding energy management applications. The transmitters are easy to calibrate on-site without disturbing the measurement. The transmitters incorporate the Vaisala HUMICAP® Sensor, which is known for its accuracy and long-term stability, negligible hysteresis and resistance to dust and most chemicals. The transmitters are available in two models: for humidity measurement only and for both humidity and temperature measurement. Both true two-wire and three-wire models are available.